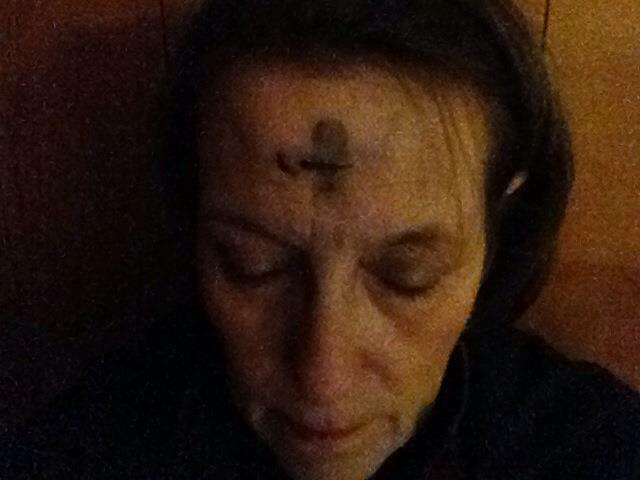 It occurred to me while getting a cross of ash smeared over my brow, hearing the words, “from dust you came, and to dust you will return,” that one of the things I appreciate the most about the faith I’m finding myself leaning into more and more is that we are a people not only allowed to tell the whole truth, not only even encouraged to do so, but ultimately demanded to do so. We must tell the truth: the good, the heartbreaking, and the completely unexplainable. And so we operate in a season of lament and reflection. We begin it by marking ourselves with the dust we come from and the dust to which we will return. We take time to fast from things to remind us of our desperation and dependence on the king of the coming kingdom for anything to be worth telling in the end. And even when shiny churches and slick preachers grin and tell us how to be happy, we must tell the truth that the world goes not well. Injustice abounds and work toward justice often feels like tiny drops in an enormous ocean. Hearts ache with broken families and open wounds. Loss stings years later like the day death stole life from our fingertips. And so we tell the truth. All of it. The hope of the kingdom coming is only truly hopeful if it is the refrain after the we see the deep gray all around us, and admit that we are both broken by it and perpetrators of it. Until all is made new. And so, for lent, we remember that from dust we came, and to dust we will return. A good friend of mine spoke this week at a church for a lenten gathering. He described the nature of the cross as being the doorway into the kingdom, and that the crucifixion must come before the resurrection. The story felt close by as I heard it told: Jesus has been drawing a crowd as he spoke to their hopes that he would indeed be the king of the kingdom, and ready for his seat on the throne they were. But all of his incessant stories made the kingdom anything other than what was expected. And in every story, there is great cost to inherit it, to find it, to move into it, to be moved by it. And the crowd who was dripping with saliva over the thought of their king and his kingdom having come were suddenly less enthused; the shiny Sunday morning services that speak to his good reign and our infatuation with him will prove as ultimately truthful to our commitment as the branches we will guide back and forth as he rides across our coats on the donkey. So the crowd begins to thin out. Like it always does, when we listen for what he is actually saying. There’s nothing slick about giving up everything to know that we will lose. But we must. There’s nothing bold about doing whatever it takes to come in last. But we must. There’s nothing ambitious about serving quietly and faithfully only to be pitied and scorned. But we must. this time, they spoke the shattering truth…maybe realizing it themselves for the first time themselves. “Are you going to leave too?” he asked? “The way of the kingdom is the way of the cross” my buddy said the other evening. Of all the things Jesus talked about, he never spoke of success or ambition or happy lives. He spoke of the good news of the kingdom, and then told stories that drove us mad about what it is like, and how it is nothing like we’ve expected. Every story of the kingdom includes the story of the cross. Loss. Suffering. Grief. Humiliation. Last. Long. Defeat. Everything. However it does not make sense––and of course it doesn’t make any sense––we know to much to do anything else, to go anywhere else, to try anything else. Where else would we go?